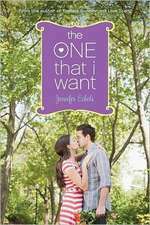 Jennifer Echols is an American writer of romantic fiction for young adults. A former newspaper editor, college teacher, and freelance copyeditor, Echols now writes full-time. She lives in Alabama with her husband and son. Her first novel, Major Crush, drew on her own experiences as the first female drum major of her high school marching band. Echols splits her writing between light romantic comedies and more intense dramas. In April 2012, Echols wrote "I love writing romantic dramas like Such a Rush and the book I'm cooking up now [Dirty Little Secret], but I would feel a hole in my heart if I didn't have the chance to write YA romantic comedies again." Major Crush won the National Reader's Choice Award, and Going Too Far was a finalist in the RITA, the National Reader's Choice Award, and the Book Buyer's Best, and was nominated by the American Library Association as a Best Book for Young Adults. 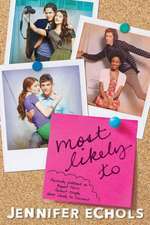 Love Story was a 2011 Finalist for the Goodreads Choice Award for Young Adult Fiction. The Romantic Times described Jennifer Echols as a "tremendously talented writer with a real gift for developing relationships". De (autor) Douglas P. Barnard et al. De (autor) Jennifer Echols et al.